I signed up for way too many challenges in 2013. It was a learning experience. They just all seemed so exciting! But my main problem was that I committed to unrealistic levels for all of them. I probably could have completed any one of them easily if I'd focused on it, but put them all together, and you have epic failure. I did complete a few challenges this year, which will have their own posts. This post is to group together all my failed 2013 challenges. 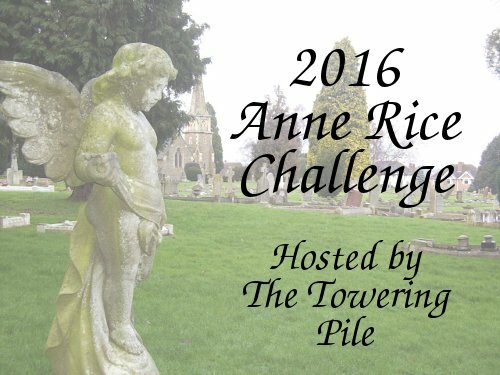 First, as usual, I failed my own challenge, the Anne Rice Challenge. My goal was the Armand level, 11 to 15 books, and I read a whopping 2. Lasher and Taltos. That's it. Next, the Outdo Yourself Reading Challenge. This one makes me sad, because this is the first year in a while that I haven't read more than the year before. Not only did I not reach my goal of reading 11 books more than in 2012, but I actually read less than in 2012. However, when I made this goal, I didn't realise I'd be going back to school this year! So I do have a good excuse. And I still read way more this year than any year that I was in university! The Nerdy Non-Fiction Reading Challenge. I was aiming for the Dork level, 7 to 10 non-fiction books, and I read 3. Well, I'm in the middle of a few textbooks that would count, but it doesn't look like I'm going to get any of them done by the end of year. Alas. By the way, does anyone know what happened to the blog this challenge was hosted by, Bookmark to Blog? It seems to have disappeared. 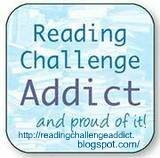 The Mount TBR Reading Challenge. Again. Goal: 48 books. Read: 28 books. (That seems crazy to me. That means I read more than 50 books that I got this year!) In 2014 I'm finally going to be realistic and drop down a level. Next, we have the A-Z Reading Challenge. I'm so sad that I didn't complete this one, as it's always one of my favourites. I completed it in 2012, and was very proud of that fact. This year I fell short by 5 letters: J, N, V, Y, and Z. And I totally have books that start with all those letters! I just never got to them. And this is another blog that appears to be gone, so I guess I won't get another chance to try this challenge, unless someone else picks it up. The 2013 Why Buy the Cow? Challenge. 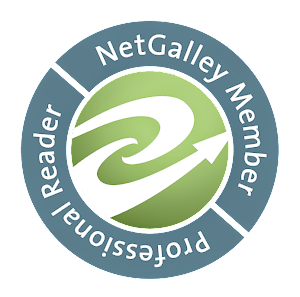 I signed up for the lowest level, with a goal of reading 12 free ebooks, and I ended up reading 9. I kept meaning to squeeze in a few more kids' books, and then I just never got around to it. Finally, the Mammoth Book Challenge. If only I hadn't signed up for the highest level! My goal was to read 12 books of more than 450 pages. I read 9, which is quite respectable. *shrugs* OK, so I had some unrealistic goals. Live and learn! I won't make the same mistakes next year! I've just started picking out my 2014 challenges, and it's going to be slightly fewer than 2013, but most importantly I'll be signing up at lower levels. That'll make them more fun for me, by keeping them achievable.